Candid. Charming. Poignant. 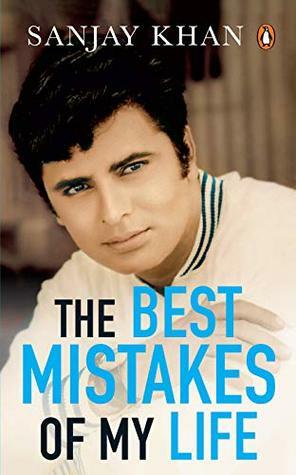 Bollywood veteran, Sanjay Khan’s autobiography, The Best Mistakes of My Life is all that and much more. It’s an eclectic mix of stories about his three-decade long film career, his face-off with death, his alleged love affairs, his interactions with world leaders, and his real estate projects. Khan, who gave Bollywood many smash hits like Ek Phool Do Mali (1969), Dosti (1964), Intaquam (1969), Abdullah (1980), Kala Dhanda Goray Log (1986), writes in a voice that is neither reproachful nor sarcastic; if anything, it is reflective and tethered. Starting the book with the fire tragedy on the sets of The Sword of Tipu Sultan that left him battling sixty five per cent third-degree burns and a bout of septicaemia, Khan goes on to recount how this one episode changed his life. Once deemed the most handsome man in Bollywood, his face was burnt beyond recognition, and needed several complicated surgeries. He writes, ‘I was devastated to see my face after many months and wondered, in moments of intense pensiveness, if I could ever face the cameras again.’ The success of The Sword of Tipu Sultan and much of Khan’s recovery after this accident are well-documented in the media, these sections in the book are an interesting read nevertheless. For one who started his journey with a film distribution gig, Khan definitely came a long way, collaborating with the biggest writers, directors, producers, actors and actresses of the time. He even introduced some notable talents to the film industry like Parveen Babi in Chandi Sona (1977) and Rekha in Haseenon Ka Devta (1971). However, what his fans had been most eager to know about was the truth of his relationship with Bollywood siren, Zeenat Aman—and thankfully, he devotes a full chapter to it. Sign into Goodreads to see if any of your friends have read The Best Mistakes of My Life. Prashant wrote: "on my to be reading list" Great. Thanks, PB! !